D﻿﻿﻿igital clamp meters enable you to use testing and clamp leads to zero in on common household electrical problems. You'll be able to easily and effectively assess AC voltage and current without ever having to strip down a cord or break the circuit (Source). Most of the digital clamp multimeters below will allow you to test AC/DC voltage, continuity of diodes, and resistance (Source). Clamp meters are useful devices to keep in your toolbox whether you are a home repair hobbyist or an electrician who needs to be able to conduct quick and accurate assessments. Let's take a look at five of the best-selling digital clamp meters on the market today and see how they stack up. The Etekcity Digital Clamp Meter & Multimeter features data hold, max reading, and an easy-to-read LCD screen. Users say that this meter is reasonably priced and performs as expected. The automatic shut-off feature in the multimeter powers it down after about 15 minutes.While it does not measure up to a Fluke clamp meter, it has received solid feedback from users that like its thick, long probes and and easy-to-read display markings. Furthermore, the general Etekcity Digital Clamp Meter & Multimeter user consensus was that the included instructions were relatively clear and detailed.One Etekcity Digital Clamp Meter & Multimeter user tested the voltage and amperage measurements against the Fluke T5-600. This user claims that the meter’s amperage measurements were virtually the same. The readings from the Etekcity meter were about 0.1 amps from the Fluke meter readings.The Etekcity Digital Clamp Meter & Multimeter has a well-performing auto-ranging feature, as well as good repeatability. The probe tips are also very nice. 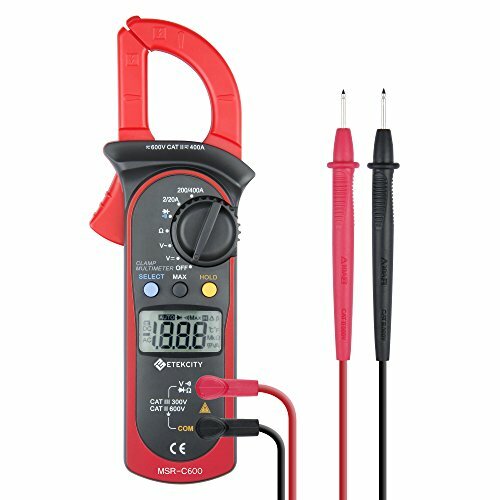 While the meter is not ideal for professional use, it is great for DIY and simple home readings.A concern of one Etekcity Digital Clamp Meter & Multimeter was that he could not find a UL listing on the multimeter or in the instructions manual. Another user tested the continuity feature on the meter. While the probe tips did indicate continuity upon contact, this user thought they were not as sensitive as similar meters. One more user concern is that the current reading clamp did not work properly on the meter.One Etekcity Digital Clamp Meter & Multimeter user advises that this meter is not a true RMS meter, but rather a clamp AC current meter. As an AC clamp meter, this is an excellent choice for the price. 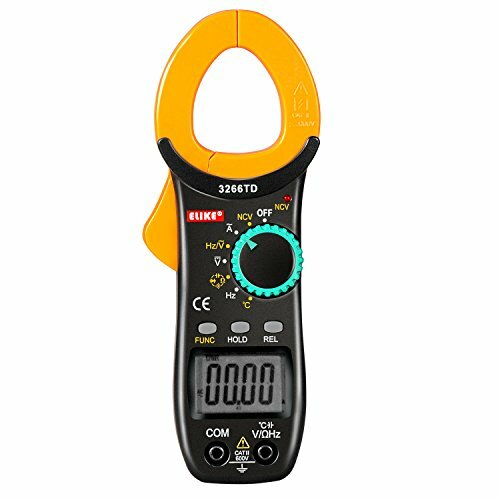 ​The Fluke 323 True-RMS Clamp Meter is a digital clamp meter that measures AC current to 400 amps, AC and DC voltage to 600 volts, and resistance to 4 kilohms. 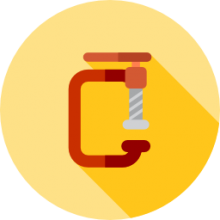 It is rated for CAT IV installations to 300 volts and CAT III installations to 600 volts. The general consensus of Fluke clamp meter users is that it is a quality meter that performs as advertised.Most users of the Fluke 323 True-RMS Clamp Meter agree that this is the most basic meter in Fluke’s product line. It is great for general use, and the price is reasonable. One Fluke meter user notes that it is convenient to carry, provides accurate readings, includes two leads, and comes with a carrying case.Another Fluke 323 True-RMS Clamp Meter user is familiar with Fluke’s products, and the 323 model met all of his expectations, including price range. On the other hand, a few reviewers feel that this model is lacking a few features. One user noted that the Fluke 323 True-RMS Clamp Meter did not come with capacitance measurement, a backlight, temperature measurement, or a broad range for resistance. However, other Fluke meter models do come with these features. A general concern among Fluke 323 True-RMS Clamp Meter users is the quality of the leads. One user could not fit the lead tips into the provided case. However, he suggests leaving the leads attached to the meter as they are right-angles. Another meter user said that the TL75 leads included with the clamp meter do not work properly. Furthermore, one user preferred the 324 clamp meter model.The overall opinion of the Fluke 323 True-RMS Clamp Meter is that it is reasonably priced with limited functions, but it is great for basic measurement use. ​The ELIKE Digital Clamp Meter is an all-in-one clamp meter with a smooth dial. It can test ACA, ACV, and DCV resistance, capacitance, frequency, temperature, and more. One ELIKE meter user has been an industrial electrician for the past 30 years. He says that he would not want to use this meter on the job, but it is great for home and hobby use. It has all of the basic readings and a few additional readings for professional use.One ELIKE Digital Clamp Meter user said that the readings were comparable to the well-known brand, Fluke. One concern of this user was having to press the function button to access capacitance and Hertz measurements. The temperature readings were also off by about 10 degrees. Another ELIKE Digital Clamp Meter user says that the meter is easy to use, simple, and has several features. The dial is clearly marked in standard symbols. This reviewer was concerned that there is no zeroing on the meter. The user also notes that the leads were not functioning properly, so he had to throw them out.The general consensus of ELIKE Digital Clamp Meter users is that the meter is great for home use, but would not be suitable for a professional electrician. It is a great price and has several features. The Signstek Mini Digital Clamp Meter can be used to measure AC/DC current, AC/DC voltage, resistance, and capacitance. It also has a non-contact AC voltage detection. Many users say this digital clamp meter offers several useful functions and is great for the price. Overall, users agree that this meter is of good quality and comparable to well-known brands.One Signstek Mini Digital Clamp Meter says that the probes are very well made and very high quality. The reviewer also says that the mini digital clamp meter is accurate and easy to use. The meter readings are stable, and it comes with a nylon case. Furthermore, the back-lit display is very useful, and it can be turned off to conserve battery.Another Signstek Mini Digital Clamp Meter user likes the small size. Not only is the meter simple to use, but also practical. As a daily meter user, one reviewer says it was great to find a clamp type DC meter for the price of the Signstek. It also detects lower current flow without opening the circuit to determine current draw, and it has all of the typical DMM functions. There are very few concerns about the Signstek Mini Digital Clamp Meter. One meter user felt that the interface was slightly confusing. The user suggests changing the default from AC amps to DC amps if the reading seems off. Other users advise making sure the meter is zeroed often. The Uni-Trend Digital Clamp Meter is a compact clamp AC meter that measures up to 600A on AC. It also checks resistance, continuity, and diode. One meter user comments that this meter is the best buy for its price. It comes with most accessories you would need for measuring and a carrying case. This user also applauds the quality of the accessories provided with the meter. A Uni-Trend Digital Clamp Meter user advises that this product is not a True RMS reader. The readings are actually an average of the measurement. Also, read the product description carefully and zoom in on the selector dial. This will give users an accurate idea of the meter’s capabilities.Other Uni-Trend Digital Clamp Meter users note that this meter does not measure DC amps. However, despite this limitation it is a good quality clamp meter for home use. Several users agree that this is the best digital clamp meter for its price. If you are looking to purchase a digital clamp meter, pay attention to our reviews above and also use the comparison table to contrast the different features each meter possesses. These digital meters will enable you to test the power consumption of appliances, fuses and also assess outlets with complete auto-ranging freedom. All it takes to get started is a simple flip of a rotary switch and you will be able to begin testing resistance, diode as well as voltage. Since a lot of them ship with lightweight carrying pouches, they are pretty easy to store for on the go jobs.